Best Choice Total Home Improvement, Inc.
C & L Ward Bros Co. Comment: 24 x 40 x 8 pole barn, 4/12 pitch, existing shingles, 1 layer, would like to replace with steel, possibly 8' overhang on gable end if in budget. Comment: Have a cape cod home with bedrooms in the upstairs. Had a roof put on <10 years ago by a builder who has done a lot of great work for me. I'm now experiencing leaks at approximately where the knee walls are on the upstairs. Have put in additional insulation and vents, which have not solved the problem. It's a head scratcher. Need some expert help. Comment: I have a 30x40 polebarn that has a standard 4 10 pitch. Needs to have the shingles replaced, and I would like to replace with metal roof. Dryden Roofing Contractors are rated 4.72 out of 5 based on 1,034 reviews of 28 pros. 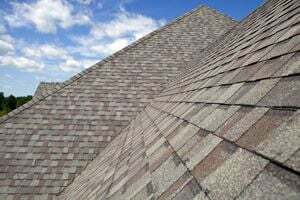 Not Looking for Roofing Contractors in Dryden, MI?